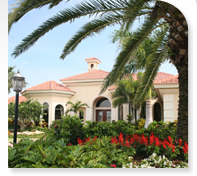 We offer a variety of landscape maintenance programs. Our full service program includes yearly mowing and trimming services, irrigation monitoring, complete fertilization and spraying programs, mulching, tree pruning, as well as seasonal color. We can also tailor our maintenance programs to accommodate the budgets or preferences of our customers. We are confident that with our wide range of equipment and our experienced and knowledgeable staff, we can offer our customers a quality service at a competitive price.